Windows 7 Orb Wallpaper is of 2560 x 1600 resolution. You can edit and resize in Adobe Photoshop or similar programs (or use MS Paint if you do not have such programs installed). There is not much problem if you download and use it directly as wallpaper; but resizing according to your screen resolution is highly adviced . This 3D rendered Microsoft Windows 7 wallpaper is designed by me. Finally, I decided to put in my own website for our visitors. This Article Has Been Shared 8747 Times! Outside world is an excellent photo-manipulated minimalistic wallpaper for Windows 7 available in 4:3, 16:9 and 16:10 aspect ratios. Preview and download high quality wallpaper named Twig for your Windows 7 PC. Windows 8 metro wallpaper is here for your download. 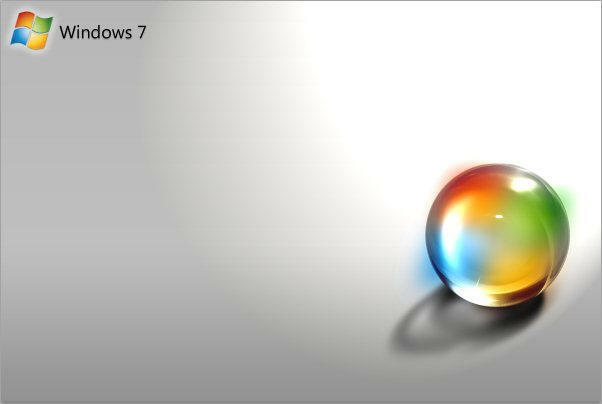 Cite this article as: Abhishek Ghosh, "Windows 7 Orb Wallpaper," in The Customize Windows, February 25, 2011, April 20, 2019, https://thecustomizewindows.com/2011/02/windows-7-orb-wallpaper/.